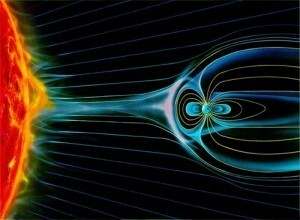 We know, for example that such a natural reactor has occurred on Earth. About 1.7 billion years ago in the Oklo region of what is now the Gabonese Republic. The reactor lasted for a few hundred thousand years, and left a distinctive signature of radioactive isotopes in the surrounding rocks. The original paper is behind a paywall, but you can see a summary of the findings in Scientific American. 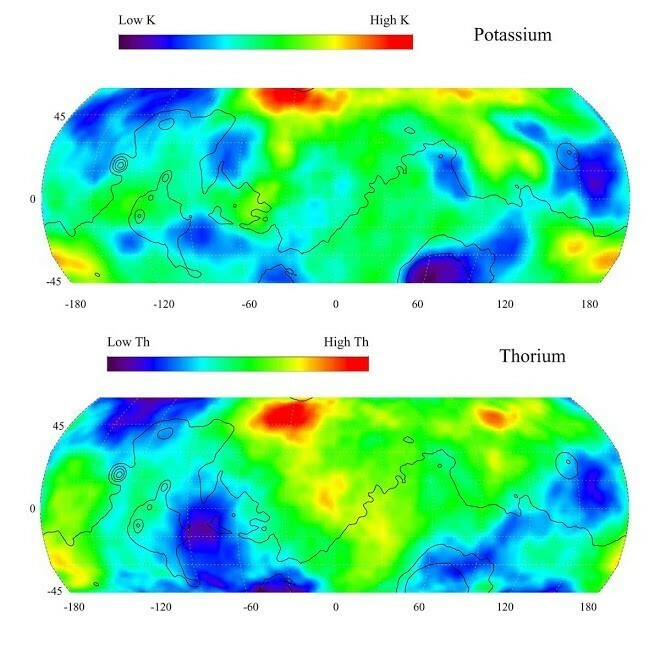 According to the conference paper, the conditions for a similar reaction existed on Mars, and given the concentration of potassium and thorium it clearly occurred. Furthermore, since the highest concentration is located in a local depression, it is likely that the fission site actually exploded, which would explain the concentration of radioactive elements on the Martian surface. It’s a cool idea if it were right. But it’s not. There is no real evidence to support the idea that a natural fission reactor occurred on Mars. If you do a search for natural fission reactors on Mars, you’ll find lots of articles and blog postings presenting it as a real scientific discovery. It was reported on space.com, Fox News, NBC News, etc. It is the type of finding that makes great press. Of course you’ll also find more speculative websites that claim it is evidence of an ancient nuclear explosion caused by aliens. 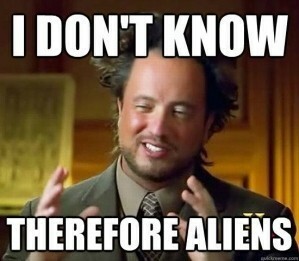 There’s a meme where Giorgio Tsoukalos (the guy with interesting hair) is quoted as saying “I don’t know … therefore aliens.” It’s an example of how you can take bits of data and construct a wild (and wildly wrong) hypothesis. Aliens did not build the pyramids, nor did they have a Chernobyl incident on Mars. It is easy to mock Ancient Aliens, but it also serves as a cautionary tale for popular science. 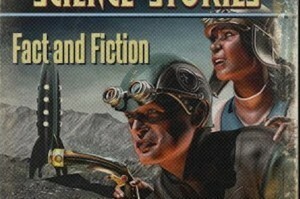 On the face of it, the claim of natural Martian reactors seems reasonable. The image above is taken from real scientific data. There really is a concentration of potassium and thorium in that region of Mars. There really was a natural fission reactor on Earth a couple billion years ago. The evidence for it is quite solid. The conference where the paper was presented is a serious and respected conference. And the paper itself (at least on the surface) doesn’t seem to be making a wild claim. So where’s the problem? Actually there are several issues. The first is that the paper itself is not particularly good. If you read it, you’ll notice it takes the basic evidence (isotope concentrations) and uses a lot of phrases such as “it is likely” “could explain” “there is no reason why this could not have happened”. There’s a lot of focus on conclusions, but not much on supporting evidence. The paper presents a claim, not a result. You see this sometimes in conference papers, which is the second issue. Many conference papers are not peer reviewed (though some are). This doesn’t mean conference papers are bad science (most are quite good), nor does it mean that peer reviewed papers are always right. But passing peer review means that glaring flaws or weaknesses are likely to be caught. This conference paper, for example, would not pass peer review for the reasons above. Of all the popular press articles written about the Mars reactor idea, none of them cite a peer reviewed paper. It’s a common problem, because most of the stories in the popular press come from press releases, with print-ready graphics and the results clearly summarized. Science writers are pressed for time and have deadlines to meet. You can make their job easier by pre-packaging things in a press release. And the easier you make it for the science writer, the more likely they are to write about your research. Even if you don’t have the time or inclination to look at original peer reviewed research, a good way to filter sense from nonsense is to see whether the popular article gives a link or clear reference to the original peer reviewed article upon which it’s based. Not just a reference to “Reputable Journal” or “Prestigious Institution”, but the actual paper. Science writers who do this have taken the time to track down the actual paper (not just the press release), and it’s quite likely they’ve at least scanned the original article. When you start looking for such a reference you learn pretty quickly which writers and websites strive for accuracy, and which ones simply strive for pageviews. If you’re interested in science, you can ignore the latter ones. Some of you may still be asking “But what is up with the concentration of radioactive isotopes on Mars?” If you look at the graph again, you might notice that not only is there a local high concentration, there are also regions with low concentrations. Of course the scale of these graphs is low to high. Nowhere does it say what low or high actually means. To find that out, you’d need to go to the source data. While I can’t track down the specific range, I do know it isn’t large. The isotope concentration on Mars might be interesting, but it isn’t a radiological hot spot. No need for aliens after all. Now I’m intrigued by this natural fission reactor which existed on Earth. What exactly happened here that deserved such an amazing name?